2. Inspect your eye protection. Some people don’t even realize that the eye protection they use on the range is not American National Standards Institute (ANSI) rated. Even if your glasses are rated, make sure they are still serviceable, have no cracks and if they are scratched up, you might want to invest in a new set of lenses. 3. Shooting without proper hearing protection can create long-term damage. Consider doubling up with both foam ear plugs and ear muffs, especially when shooting centerfire ammunition. Foam earplugs are also inexpensive. Buying several extra sets and stashing them in your glove compartment, shooting bag and purse is a great way to make sure they are always handy. 4. Resolve to be aware of the dangers of lead. Surprisingly, many shooters don’t think about how much lead dust they ingest when out shooting. Indoor ranges can pose even greater risk. Regardless of whether you shoot indoors or outside, at the very least, get in the habit of washing your hands and face thoroughly with cold, soapy water or use D-Lead wipes when you are finished shooting and leave the range. 5. SHARE! Bring a friend or coworker to the range and help them get started. No matter if it’s just plinking fun or a formal shooting sport, introduce someone to the world of shooting. Safety is always first, but get out there and share the fun! 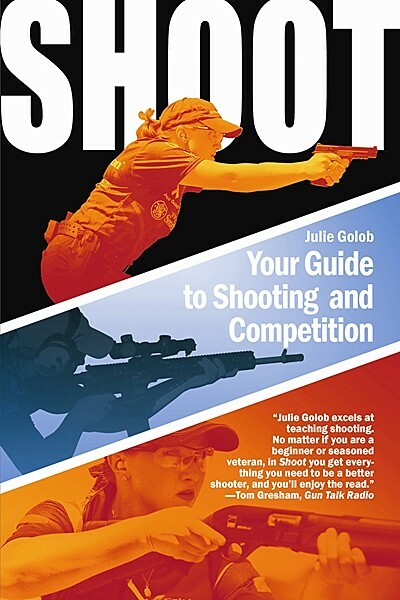 Get your copy of “Shoot, Your Guide to Shooting and Competition,” by Julie Golob. 2. Know where the candidates in your state stand on gun rights and the Second Amendment! Those that don’t support us, don’t deserve to be in office! Thanks, Julie, for the shooting tips! It’s amazing to think about the impact your new book will have on so many people. Hope the New Year is your best ever! Thanks so much everyone! Hope you all have a WONDERFUL 2012! Impatiently waiting on my copy of your book. Happy New Year and thank you for the great tips. Great starting conversation for the new year. 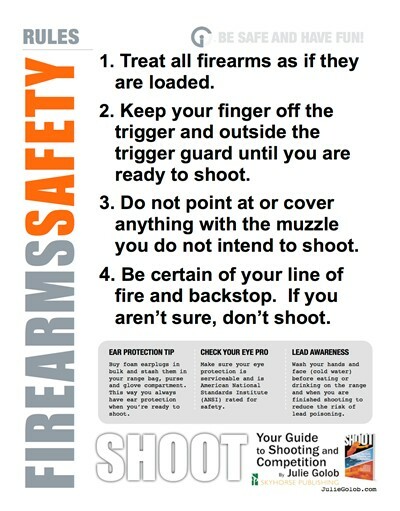 Thanks to Julie Golob and The WON for posting these GREAT shooting tips for the new year! Julie, congratulations on the publication of your book. Can’t wait to see it.